Both Gene Siskel and Roger Ebert ranked the film as the best of 1989 and later ranked it as one of the top 10 films of the decade (Siskel #6, Ebert #4). *Boston Society of Film Critics Award, Chicago Film Critics Association Awards, LA Film Critics, and New York Film Critics: Best Picture and Director. 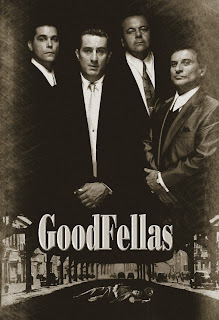 *GOODFELLAS's style has influenced many directors including Frank Darabont, Jon Favreau, Richard Linklater, Antoine Fuqua, and the Hughes brothers. *Goodfellas inspired director David Chase to make the television series, The Sopranos. 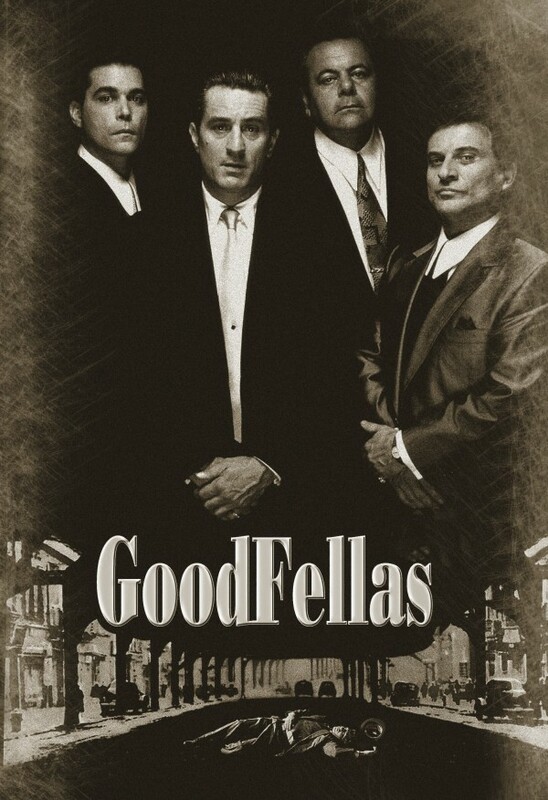 *Goodfellas is often considered one of the greatest films ever, both in the genre of crime and in general and was deemed "culturally significant" and selected for preservation in the National Film Registry by the United States Library of Congress in 2000. Jonesy: My first impression is that it’s a great movie, but I found out that gangster movies are not my genre. It reminded me how I reacted about THE GODFATHER; I liked it, but it’s not my cup of tea, and I won’t ever go out of my way to watch it. Javi: I really enjoyed, I rewatched it twice, once with my dad, and we both enjoyed the crap out of it. It’s interesting because it glorifies the lifestyle while decrying it. For every cool thing Henry narrates about the lifestyle, there’s something bad he talks about it. I liked it more than I thought. Jonesy: I liked the story. Especially because there wasn’t just one problem instead there’s a multiple problems and arcs throughout the 2.5 hour movie. Javi: It was very episodic. Jonesy: And that’s how a gangster’s life probably is. I liked the fact it spanned decades, and you got to age with the characters, and you see their progression from starting off as minions and working their way up especially Ray Liotta. I liked there was always something to be dealing with. Javi: I think it did a sort of “Gangster’s life for Dummies”. I think I enjoyed where Henry gets licked early in the movie, and once he gets out of trail, all of the gang are coming and greeting him and congratulating him. It is very in-depth and well rounded story. I haven’t seen either Godfather movies, but doesn’t the story basically deal with one person’s one specific problem? Javi: Towards the end, it does get a bit long, and after a specific even happens (Henry going to jail) it seems to trail off. It seems it doesn’t have a climax at all; you can make the argument that a character’s death is the climax. It’s a very unofficial climax, and the story is very unconventional. Jonesy: After he goes to jail, the story seems like it’s from a completely different movie. Javi: It almost seems like an afterthought because I don’t find the story really compelling at that point. Jonesy: I really loved the paranoia Henry ends up with, and the a sequence with time stamps and a helicopter was just so well done. It felt like a mini movie added in, and you could have split the two parts and made them into separate movies. Javi: I will say I hated the voice over the most. Javi: sometimes they added a lot to a sequence, and like the wife’s description of the wedding was hilarious, but you could have done without it. If they would have left the hilarity of the situation speak for itself it would have been okay. Nowadays we give so much grief to movies for being all exposition, and yet that’s all we get here. All it says is things that you should be able to pick up on your own. Jonesy: See I disagree. From the moment you have the guy in the trunk at the beginning, you go into basically an hour long flashback about his life and how he got to that particular moment. His voice over made me think “that’s how you do voice over”. He was telling a story, and it’s not just a couple of people talking to each other and lazily explaining the movie. Javi: I have such a negative connotation to exposition maybe that’s why I’m so apprehensive towards it. I will concede you do have a point, but it still bothered me. Maybe I need to revisit the movie a year from now and see how I feel then. I also could not stand Ray Liotta’s “laughing face”. It is so hideous it will haunt me forever. Javi: The characters were pretty interesting given a rather cliché genre. They felt like very good versions of gangster movie tropes. I enjoyed their interaction, I will say that Tommy (Pesci) was the most annoying character but he’s well written. What I don’t get is if he’s so unstable and annoying, why keep him around? I feel like his character was there to complete a trio. In the grand scheme of things how much does he contribute? Jonesy: He’s the trigger-happy guy that just goes nuts. Javi: Exactly, especially towards the end and it wasn’t necessary. If you notice the way that Henry and Jimmy work, they always were more subdued, and they never wanted to draw attention to themselves even while pulling crazy heists. Whereas Tommy was always John Wayne guns-a-blazing, killing people left and right. I see him being almost a foil to Henry, but his presence does not make sense. Jonesy: My response to that was that in the trio, Henry became the brains, Jimmy logistics, and Tommy is the brawn. For gangsters, you have to scare your opposition, and this is what they needed to be efficient. All of these characters are just tropes of what you see in gangster movies. But then the caricatures from that you see nowadays are stemmed from those characters. Javi: Like maybe Fat Tony on the Simpsons? Or the Mob Robot from Futurama? Actually! I think the guy with the claws in Futurama is Joe Pesci’s character. I liked the characters a lot, and they seemed really extreme because we are not used to that lifestyle, but they were nevertheless well written. Javi: So we both liked he story overall, but I had more complaints than you did. But then, why do you think that this movie was in the AFI Top 100? Jonesy: It’s in there because after The Godfather and The Godfather II there was nothing to compare in the gangster genre. What Scorcese did was try to match that grand story in terms of a genre film. This is one of the best gangster movies. It’s well written, as we've mentioned, and did very unconventional things, like the long continuous take of them going through the kitchen, which is a very famous shot. I don’t remember a movie like this with the exposition done the way that it was. And Scorsese was just trying out new things. Javi: Going along with what you were saying it felt very much like a proper update of the gangster movie, it reminds me of THE FRENCH CONNECTION was a big deal at the time was because it added another layer to the standard cop movie with a better rounded protagonist. Which then if we want to put it in more contemporary terms, it’s like THE DARK KNIGHT was the GOODFELLAS of comic book movies. To me, the biggest contribution to the movie, apart from the quality of the film itself, is you have this movie that kept gangsters from being just stereotypical goons with scars over their eyes and weird accents and made them interesting and dynamic.